In the past, some of Google's Nexus devices have had root methods even before the phones hit shelves. The Google Pixel and Pixel XL are basically Nexus devices from a software standpoint, so why have we gone more than a week since release without a working root method or custom recovery? The folks at Team Win Recovery Project (better known as TWRP) have an answer for that question, but it's one you're probably not going to like. TWRP developer Ethan Yonker, aka Dee's_Troy, recently shared a picture of TWRP running on the Google Pixel—but then quickly followed that up with two reasons as to why a working version of TWRP won't be available anytime soon. In his followup post on Google+, Yonker explained that the Pixel's new file-based encryption, along with Android Nougat's new dual system partitions for seamless updates, are the two main hurdles that need to be cleared before we can get a working custom recovery on the Pixel or Pixel XL. If TWRP can't properly decyrpt the Pixel's storage, any ZIPs you'd flash would have to be pushed over via ADB while in recovery mode, and that's not very user-friendly. But even then, ZIPs usually target the system partition to make their modifications, and because TWRP can't handle the new dual-partition setup just yet, you'd run into another dead end there. So even though Yonker has been able to get TWRP running on a Pixel already, it will take some time before the custom recovery will be able to do anything on a Pixel. With all of this in mind, we can see how it will also take a while before the Pixel or Pixel XL get a working root method. 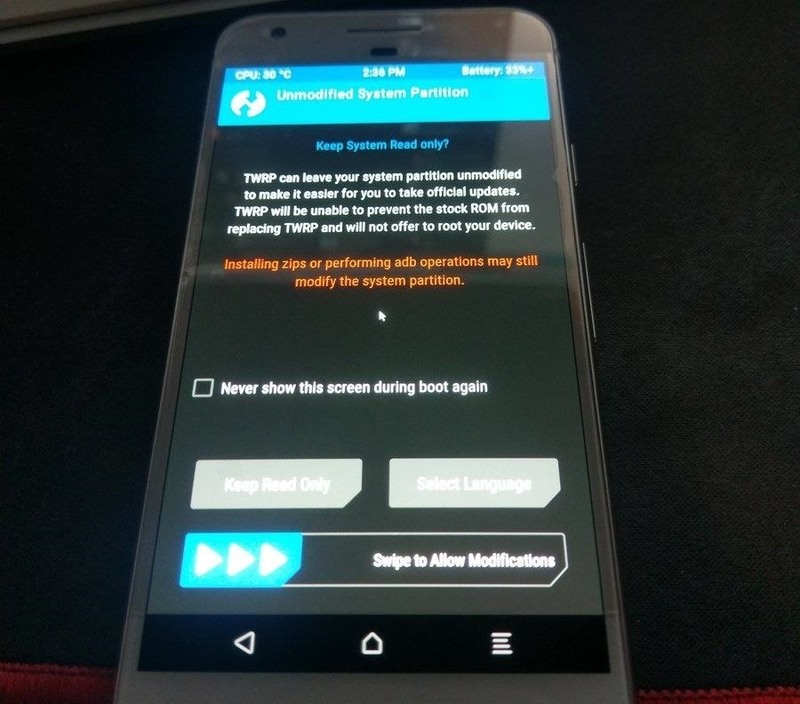 Normally, you simply install TWRP on your device, then flash a ZIP in recovery to get root access. So unless someone like Chainfire can come up with an inventive way to get root without a custom recovery, we'll just have to wait until the TWRP devs get these encryption and dual-partition issues resolved.